Vote for Best Established Author in the AusRom Awards! I’m honoured to be one of the ten finalists in the AusRomToday Awards for Best Established Author. I am in awesome company with some great authors so this is a big achievement for me, especially considering I’m now classed as an ‘established’ author! 2. On that page, click on the picture/logo that has ‘Juliet Madison’ on it. That’s it! You have until the end of November to vote. I appreciate each and every vote, so thank you to those who have shown their support. Nominate books in the AusRomToday Reader’s Choice Awards! 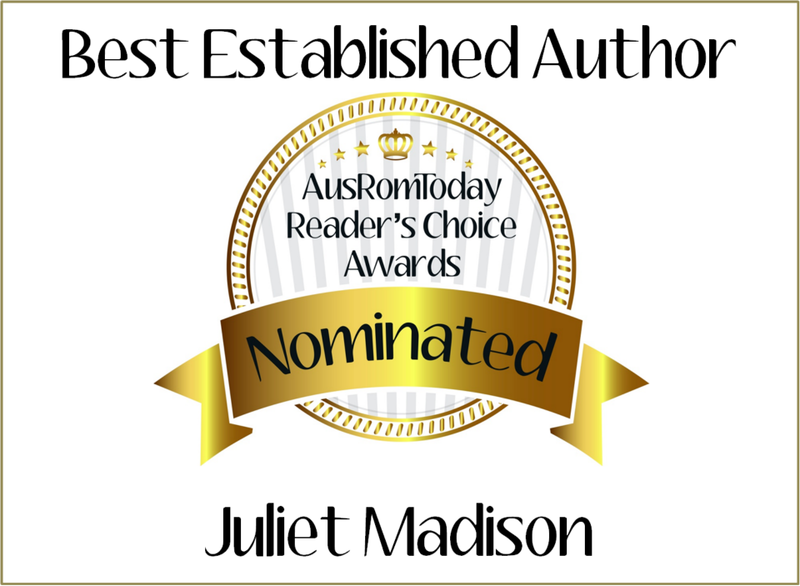 There’s a fabulous new website, AusRomToday, celebrating and promoting all the diverse sub-genres of romantic fiction, and they are holding their first Reader’s Choice Awards and taking nominations for your favourite books and authors from 2014. The top ten most nominated books and authors in each category will go through to the public voting round, so make sure you add all your faves to help them get to the top! You can nominate books HERE. * *Remember, only Australian authors and their books are eligible for the awards.